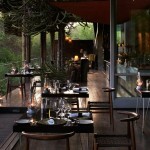 The Singita Sweni Lodge is a lodge located near the Kruger National Park, in South Africa. 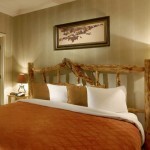 The lodge’s rooms are decorated with furniture made from local wood and wasted stone. There are several lodges near this national park. 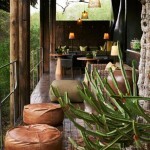 The Sweni lodge has six suites and is located inside a glass cube on top of a platform. 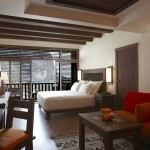 The lodge is decorated with traditional decorations and handmade furniture. 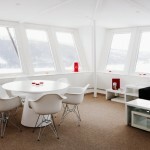 Each glass cabin is decorated with wooden furniture. 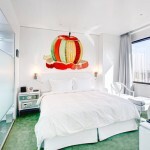 The suites have a balcony and a terrace with an outside shower, and the bathroom with a bathtub is located inside the main room. 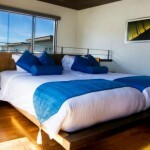 All suites have a large double bed. The bathrooms, built with stone, have views towards the hotel gardens. 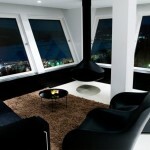 The furniture defines de theme of each room. Each suite has a large double bed made of wood and covered with mosquito netting, a bathroom with two stone sinks and a lounge area with sofas and regional paintings. 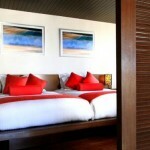 The bed’s hangings are made from thick material, making each bed its own private tent. 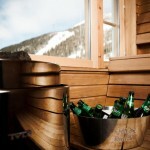 The hotel has an active recycling program and only uses locally-sourced material. The ottomans, sofas and other furniture that can be found in the living rooms is covered by a material used in old Land Rovers. The beds are covered by covers that were woven by hand, and the floors are covered with cow skin. 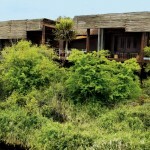 The Sweni Lodge is located on the banks of the river Sweni, and the decorations match the colour of the riverbanks, with armchairs the colour of carbon, moss and pistachio and dark wooden beams. The bath amenities and cleaning products are made from natural ingredients. 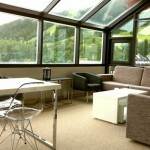 Price is around 2000€ per night. Price includes breakfast, lunch and dinner accompanied by liquors and wine.For this prices, guests will be able to enjoy Land Rover safaris, tours on mountain bicycles and guided walking tours. There is a complimentary transfer to and from the nearest airport. 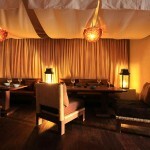 The lodge has a dining hall and a lounge where guests will be able to enjoy breakfast, lunch and dinner. 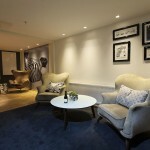 The hotel’s cellar is located next to the lounge, close to the main kitchen. The bar area has a brick fireplace and is decorated with lamps in the shape of vines and decorated with bird nests made of glass. The wine cellar has more than twenty thousand bottles of wine from vineyards from all over the country. Guests will be able taste a variety of local wines and guests will be able to choose the bottles they want to take home with them. The hotel sells carved sculptures and paintings my local artists, wooden furniture and other decorations typical of this area. 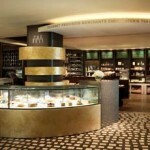 There is a jewellery store next to the lobby. 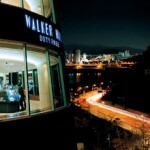 One of the buildings has a large spa where guests can enjoy a variety of spa treatments. 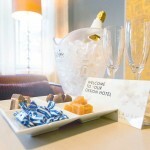 The hotel offers body massages and exfoliation with local products. The nearby lodges located next to the national park have a gym. The lodge has a large swimming pool with views towards the river. The lodge has Internet access. There are no conference rooms at this hotel, where events can be celebrated in the main common room equipped with a large flat screen and sofas. 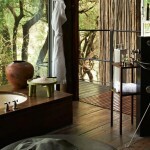 The hotel is located on the territory of the Kruger National park. 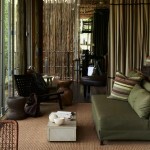 Guests will be able to enjoy safari tours around the park, which is close to the border with Mozambique. Bird-watching activities are organized by the hotel, and there is a large observation deck for guests who want o see local animals wandering around the park. 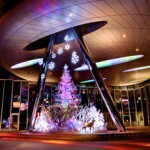 The hotel can organize many tours for guests. 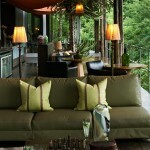 Guests who are into game hunting can take a private tour in a Land Rover, and there are night safaris around the park. Guided walking tours are organized around the national park. Mountain bikes and other biking gear is available for rent. There are star-gazing safaris for those who want to see the African skies. 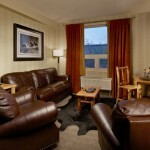 The Deerfoot Inn and Casino es located in Calgary, in the south of Canada. 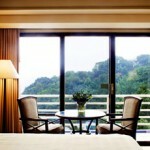 This hotel has a large casino, a spa and an inn with a variety of themed rooms. This inn has several types of rooms. 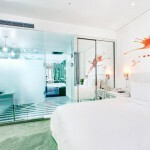 These rooms are double rooms decorated with carved wooden furniture and each room has its own bathroom with a shower. 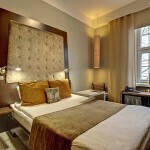 Each room has an LCD television set with several DVDs. 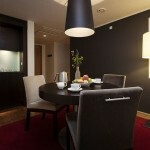 Rooms are equipped with tea and coffee making machines, a fridge and a dining table with chairs. 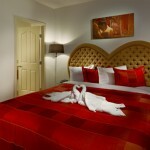 The Romantic Suite has a large double bed with a designer headboard. 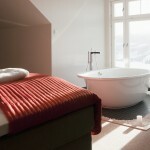 This room is decorated in shades of red, and the bathroom has a large jacuzzi. 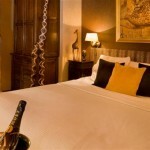 The Western Suite is a family suite with two double beds. 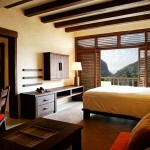 The suite is decorated with carved wood and sandy colours. 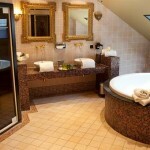 There is a jacuzzi in the bathroom. 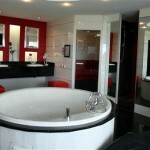 The Business Jacuzzi are executive rooms. 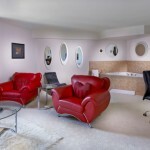 Each one of these suites has a bathroom with a jacuzzi. 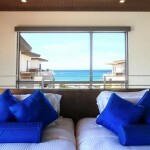 There is a double room, a living room, two television screens and a desk with a chair. 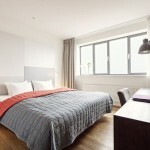 Each double room has a queensize bed and a bathroom. 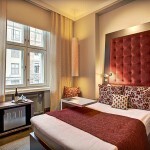 The king rooms have a kingsize bed, a sofa that can be transformed into a queensize bed and a bathroom. 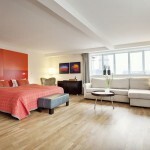 The family suites have two queensize beds, a dining room with a table and chairs and a kitchen area. Each one of those suites has a large bathroom. 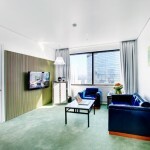 The Mini Suites are one room suites with a kingsize bed, a living room area with a sofa that is a queensize bed and a large bathroom. This suite is a family suite. 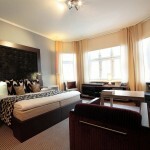 The Business Suites are executive suites with a large double bed, a bathroom and a conference room. 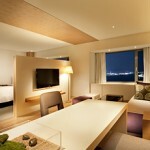 Each room has an LCD television screen. The Business Boardroom Suite are suites with a double bed, two flat screen television sets, marble counters and a bathroom with a shower. 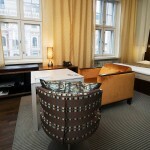 Each suite has its own conference room with a table and four leather chairs. 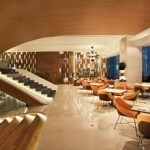 The hotel has several bars and restaurants. The hotel specializes in meat and other dishes typical in this region of Canada. 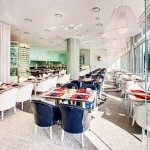 The resort has a variety of restaurants. The Mohave Grill is known for its variety of dishes from southern US. The Wild Horse Pub is located inside the casino. The Cactus lounge organizes karaoke nights. Island Bar is a bar where guests will find a variety of exotic cocktails. The Sushi Bar is a Japanese restaurant. 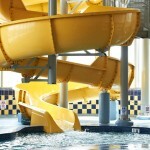 The hotel has its own water park with water rides. 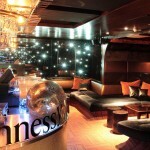 There are several swimming pools and lounge areas. 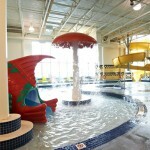 There is a large swimming pool with an area for kids inside one of the buildings in the resort. The hotel has a gym. Next to the gym and pool areas there is a jacuzzi where guests can relax. The nearby spa offers many massages. There are massages with tropical oils and massages with warm stones. The hotel has its own conference center. These halls can accommodate up to a hundred guests. The main hall can be transformed into 14 halls adapted to each type of event. The hotel is located south of Calgary. Guests can spend their afternoons at the casino, use the facilities at the conference center and relax in the spa. The casino has several tables where guests will be able to play cards. Inside the casino guests will find a roulette, 767 slot machines and several rooms for playing poker.